Shannon Risk, a fitness enthusiast with an extensive background in dance and an advocate for wellness, found her calling with a career in sports massage therapy. Risk attended National Holistic Institute and completed the Massage Therapy Training Program and the Advanced Neuromuscular Therapy Program in 2013. After graduating from massage school, Risk began her career at Sports Medicine Institute (SMI) where she’s had the opportunity to work with every kind of athlete, from world-class professionals to weekend joggers. The demand for sports massage therapists has gained in popularity among casual athletes in recent years, as it has long been considered an integral part of a well-rounded training regimen by professional athletes ranging from Olympic gold medalists to NBA stars. 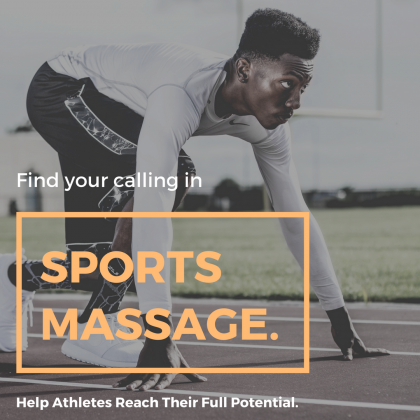 If you dream of being a professional sports massage therapist by helping athletes reach their full potential, you owe it to yourself to consider a career in massage therapy. Contact us to learn about how to get started in this exciting career path!